Brick is a Wisconsin original from way back. Wisconsin cheesemakers first crafted brick cheese in the late 1800s and named it matter-of-factly after the bricks cheesemakers were using to press the curds. 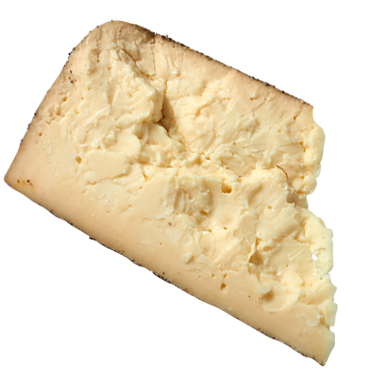 When young, brick cheese is deliciously mild with just a tiny bit of nuttiness. Give it some time to age though, and it ambles into more complex, pungent, even tangy territory. Brick''s nickname for as long as we can remember has been "married man''''s Limburger." In other words, it’s a tamer, quieter version of that famously stinky German cheese. For ease of use, slice brick cheese when it''s nicely chilled. We score the foil of surface-ripened brick before cutting to make quicker work of it. Wisconsin brick likes to share the loveseat with solid, salt-of-the-earth brews and wines. If you''re thinking beer, we recommend bock, stout, pale ale, weiss beer, porter or brown ale. If you prefer wine: chardonnay, pinot noir, merlot, champagne, riesling, sauvignon blanc, beaujolais, pinot gris and gruner veltliner are all wise choices. Young brick makes excellent potatoes au gratin, while a more mature brick has never met a hearty sandwich it didn’t get along famously with. Try grilling either thinly sliced on rye with sautéed onion and stone ground or spicy pub mustard. Or, broil a slice of crusty bread topped with ham, asparagus and thinly sliced brick, and serve it open-faced.